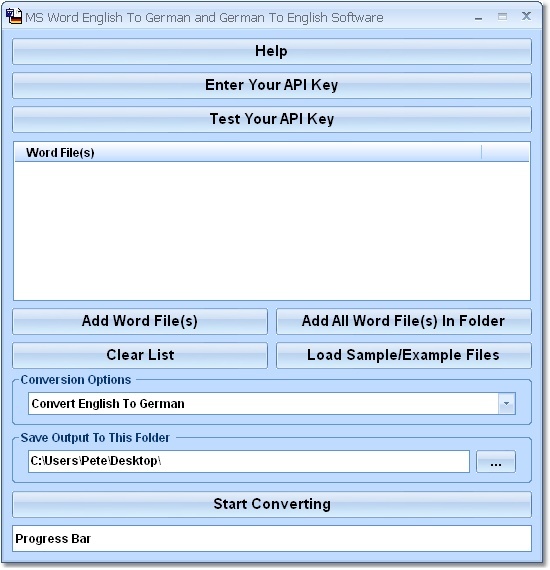 This software offers a solution to users who want to convert Word files from English to German and vice versa. The user can specify a list of files or an entire folder to be processed and then choose the language pair before starting the process. This software uses Google Translate as the backbone for translations and requires a Google Translate API key. Instructions for obtaining a key are found within the software. Word 2000 or higher required. Compress the file size of one or many PDF files. Results may vary.